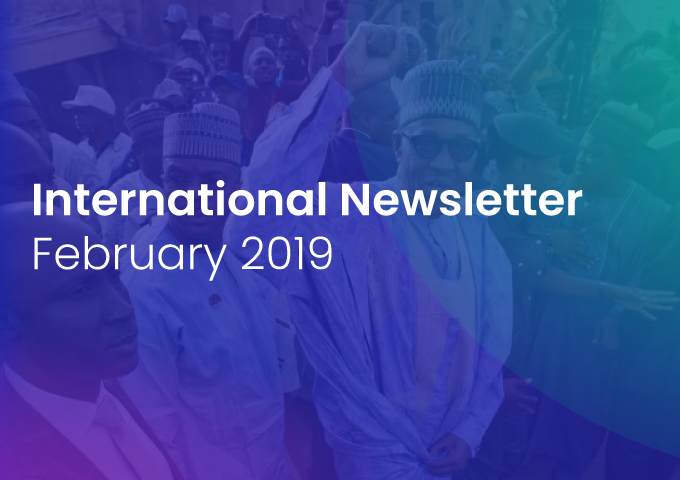 In February 2019, the impact of public integrity concerns on electoral processes was highlighted by the re-election of President Muhammadu Buhari in Nigeria on 27 February, following a campaign under the theme of the fight against corruption. The High Authority publishes a monthly newsletter gathering the main news, efforts, reforms, reports and studies, conferences, projects, etc. across the world on topics related to corruption prevention and repression and promotion of integrity, transparency and openness in public life. To subscribe to the newsletter, please, fill the form below. Beyond the ever-present news related to anti-corruption and integrity, the end of January 2019 was particularly marked by renewed concerns about transparency in public decision-making. The December edition of the international newsletter of the High Authority for Transparency in Public Life provides an opportunity to reflect on a year marked by growing breaches of probity and by profound reforms in the area of good governance and public integrity around the world. On 9 December, International Anti-Corruption Day, the international newsletter of the High Authority reviews the events, reforms and stories that made the news in November 2018 in terms of corruption prevention and integrity promotion. From 22 to 24 October, Denmark, with the support of Transparency International, hosted the International Anti-Corruption Conference (IACC), which brings together over one thousand anti-corruption practitioners every two years.